Who was to blame for the collapse of the housing market in 2007-2008? 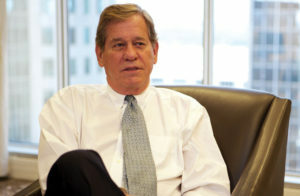 In February 2013 we interviewed Tom Krebs, former director of the Alabama Securities Commission (1975-1985), to ask who was to blame for the collapse of the housing market in 2007-2008, which led to recession and a still spotty economy. Krebs was in a good position to furnish answers. Three years before, his work helped crack the case on what went wrong and who made it happen. Krebs was deputy general counsel of the Financial Crisis Inquiry Commission, which Congress set up to study the financial crisis. Thousands of mortgages were sliced into fractions, mixed into pools and sold as securities to thousands of buyers. “The failure to disclose that loans in the pool did not meet the issuers’ underwriting guidelines is securities fraud. That’s why there is the huge number of cases that have been filed against the issuers — the securitizers, the investment banks — by the SEC, the FDIC, the FHFA (Federal Housing Finance Agency) and other federal agencies. Krebs was one of the first to detail these misstatements for the FCIC in 2010. It opened the way for the first settlement of a lawsuit brought by the Federal Housing Finance Authority, which came in 2012. The first Department of Justice settlement (with JP Morgan, Bear Stearns and Washington Mutual) came in 2013. Estimates now put the total settlements of DOJ suits at nearly $60 billion; FHFA settlements, $25 billion.